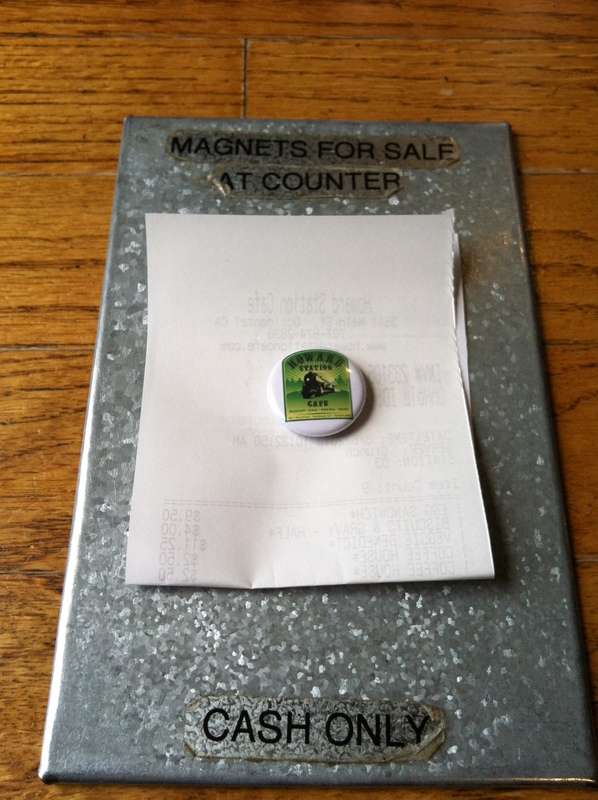 Not only is this a unique way to deliver the final bill, but also a gentle reminder that you (or your small child) can purchase a magnet at the front when you checkout. “Mommy! Daddy! Grandma! Grandpa! I want one of those magnets!! !” Any relative/friend/caretaker is more than happy to pay the extra $1.00 for the magnet, in order to prevent an all-out meltdown. That’s another sale for Howard’s. Guess what else is at the counter? Three separate glass jars filled with three different kinds of homemade cookies. The glass jars filled with cookies are on top of a glass case filled with other homemade desserts. During my 30 minute breakfast, I witnessed two kids smash their face against the glass, hoping mom would buy a piece of cake for breakfast or an afternoon snack. One kid got his wish. Howard’s got another sale. Do you have a cross strategy as part of your marketing plan and user experience? Failure to implement a cross-sell marketing strategy leaves lots of money on the table. What can you do to enhance the customer experience with a well-executed cross-sell marketing strategy?